The trendy style of ear climbers comes in a fabulous small package with this set. 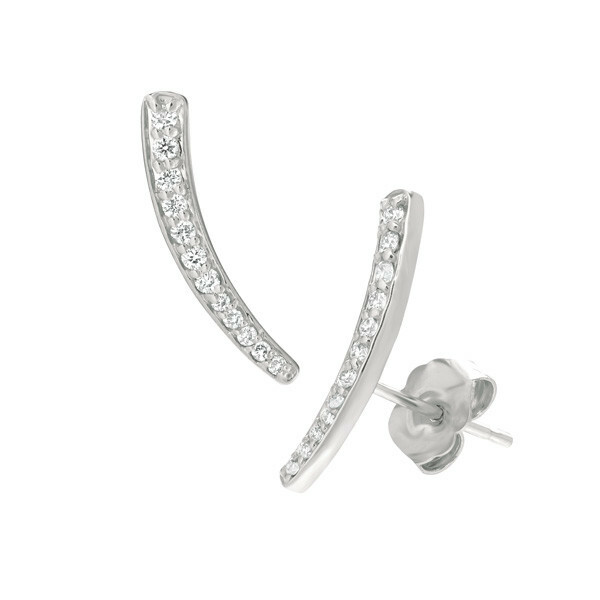 Slivers of 14kt white gold that sparkle with white diamonds conform to the lower part of the ear lobe, and they are held in place with ease through post backings. You'll rock a glamorous look in these ear climbers.